The client originally hired me to whip his webapp’s HTML and CSS into shape. 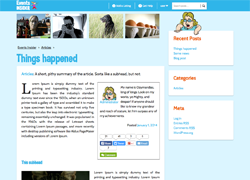 Then he decided he wanted a WordPress blog to complement his events listings site. The hard part was matching the look and feel of the existing webapp. The theme had to be built almost from scratch. Emphasis was placed on clean HTML, so a lot of WordPress’s default output had to be modified to reduce the clutter. 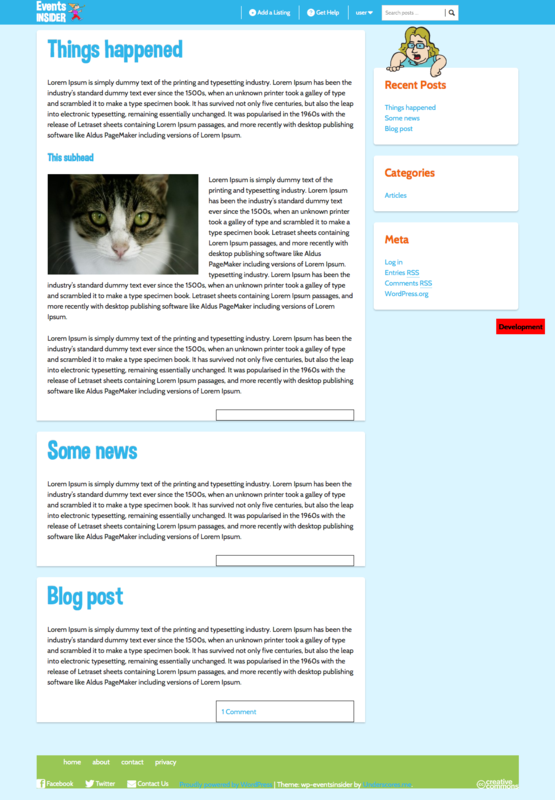 The site itself (and the corresponding webapp) is still a work in progress. A simple blog post meant to match the look and feel of the client’s main site.